Russia launched two satellites on Sunday, one of them carrying Israeli sophisticated communications systems. Russia launched two satellites on Sunday, one of them designed by Israel and carrying sophisticated communications systems. 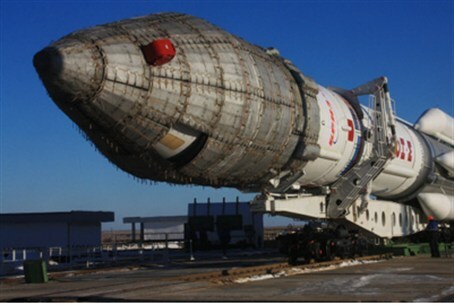 A Proton-M carrier rocket blasted off from the Kazakhstan space center carrying Russia's Luch-5A spacecraft and the Amos-5 satellite. Israel's satellite, which was manufactured in Russia, will join the satellite grouping of Amos-2 and Amos-3 to provide various satellite services to customers in the Middle East, Central and Eastern Europe, Central Asia and Africa. Amos-4 is still being built and is to be launched next year, while the advanced Amos-6 is planned for launching in 2014. Amos-5 is to function as a remote transmission and broadcast hub for Internet providers, television channels and telecom companies. It will not be known until Sunday night Israeli time if the launch was a complete success.